A platform for one lady's affairs. After my adventure in homemade almond milk I was feeling pretty confident about making nut milk with my juicer. 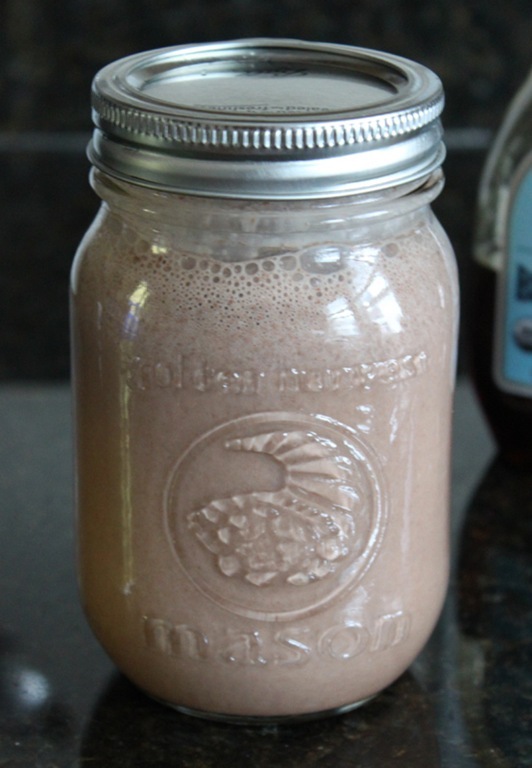 I came across a few recipes for making chocolate milk with nuts and definitely wanted to try it out. 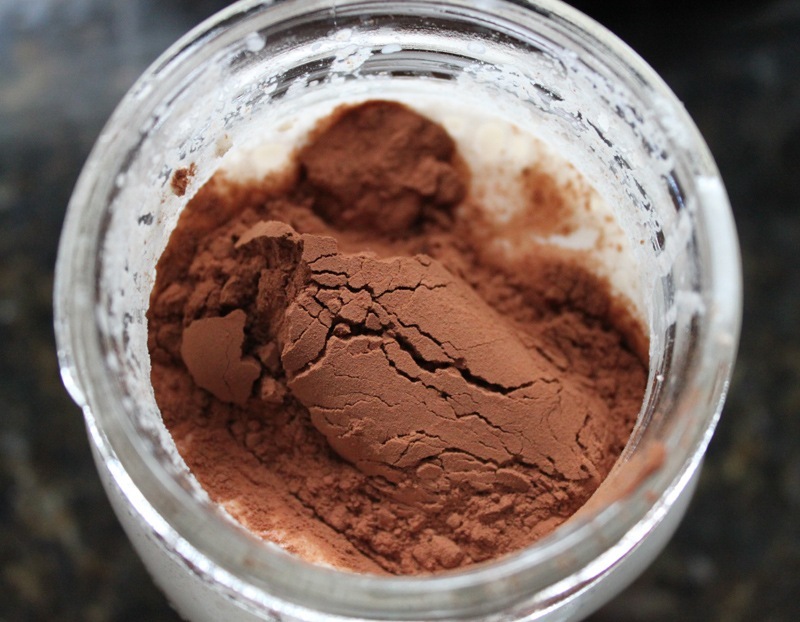 I realized if I used hazelnuts I could create a Nutella-esque flavor with the milk – yes please! 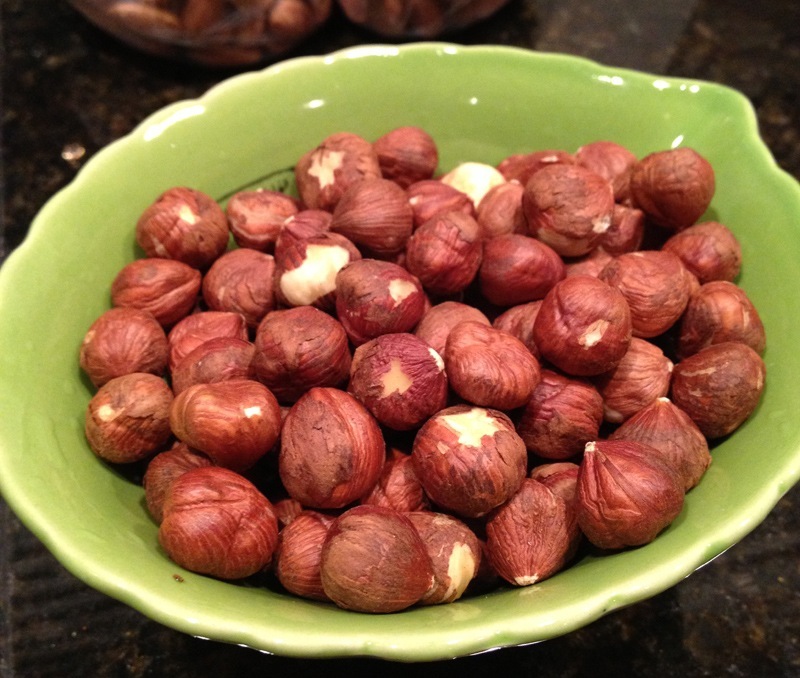 Soak the hazelnuts in 2 cups of water for at least 24 hours. Follow the instructions according to the manufacturer of your juicer – mine recommended a minimum of 24 hours of soaking. 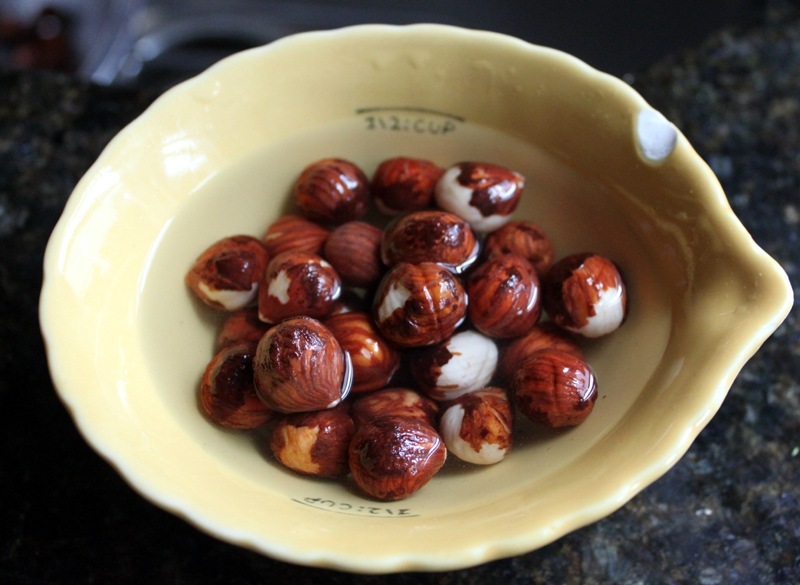 Cover them while soaking and put in the fridge. 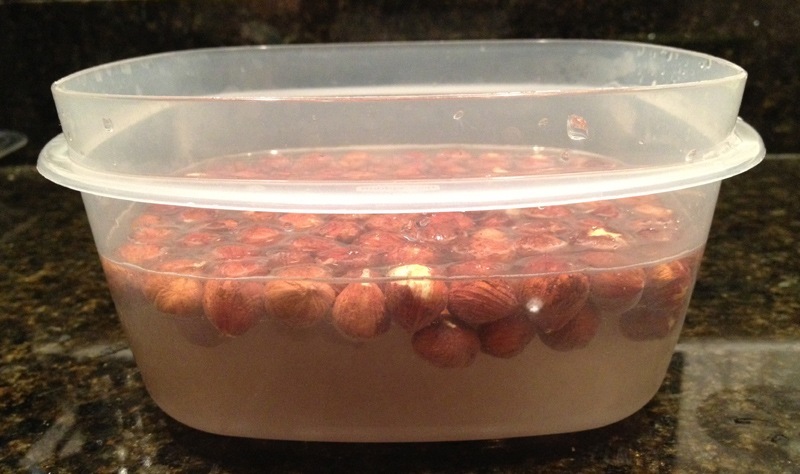 When 24 hours are up you’ll notice the hazelnut water is pretty cloudy. 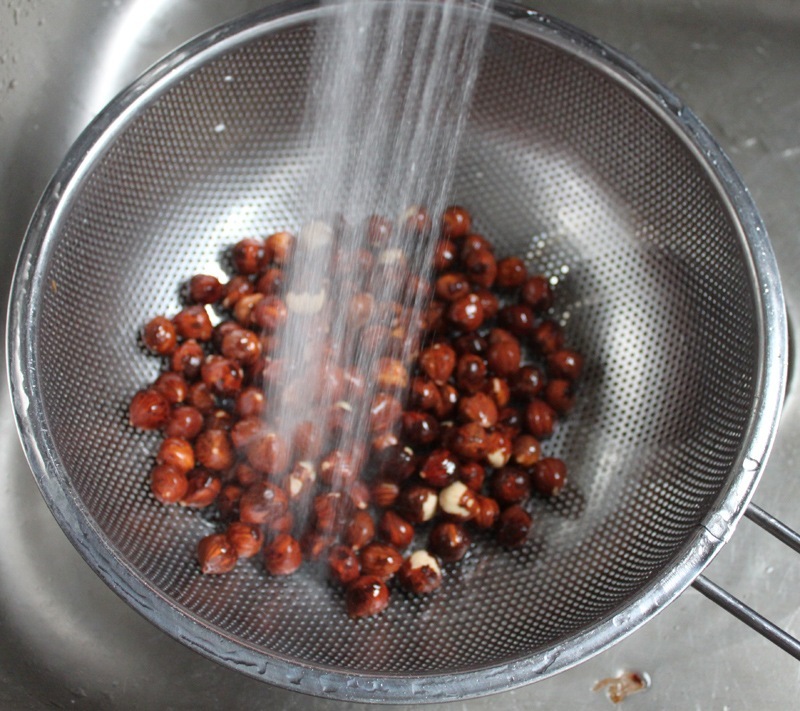 Drain and rinse the hazelnuts. Next prep your juicer. 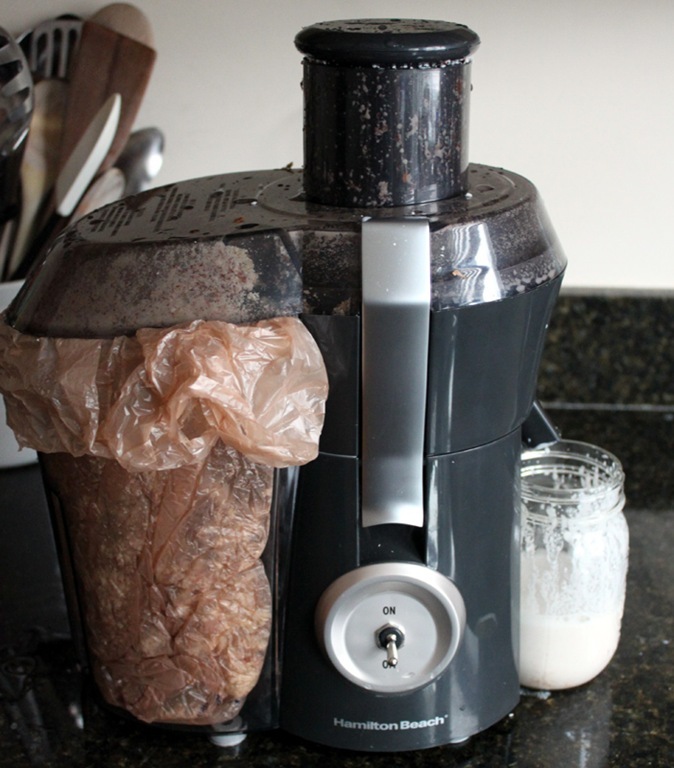 I like using a plastic bag to line the pulp container of my juicer to make the clean up easier. 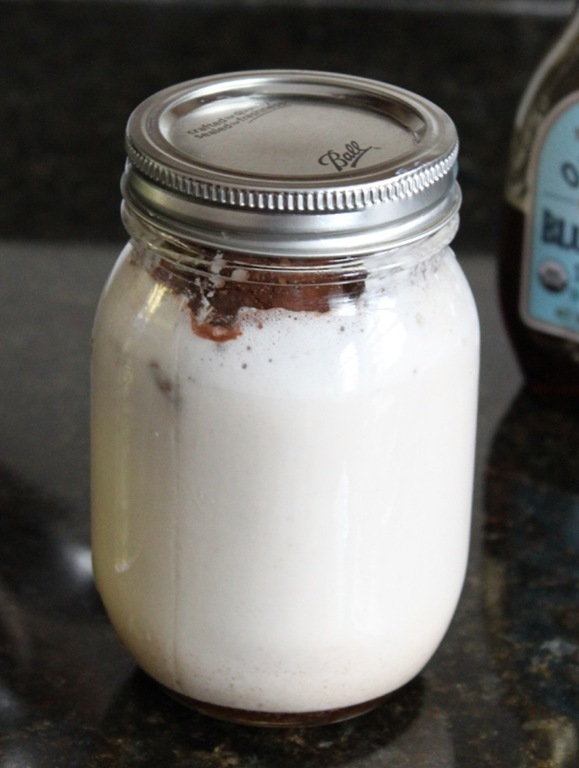 I used a mason jar under the spout (more on that in a minute). 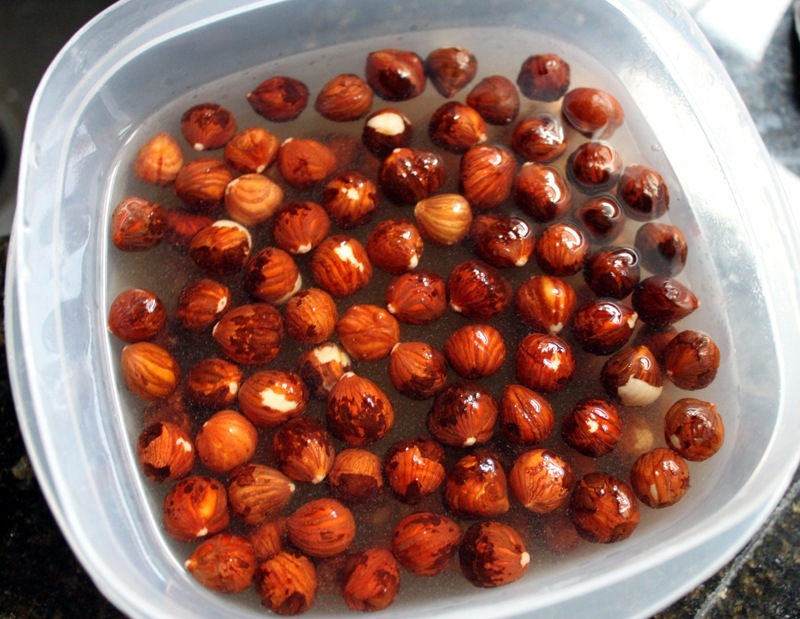 To “juice” the hazelnuts I put a handful of the nuts in a 1/2 cup measuring cup and topped with fresh, filtered water (see picture below). I then carefully poured that into the juicer. 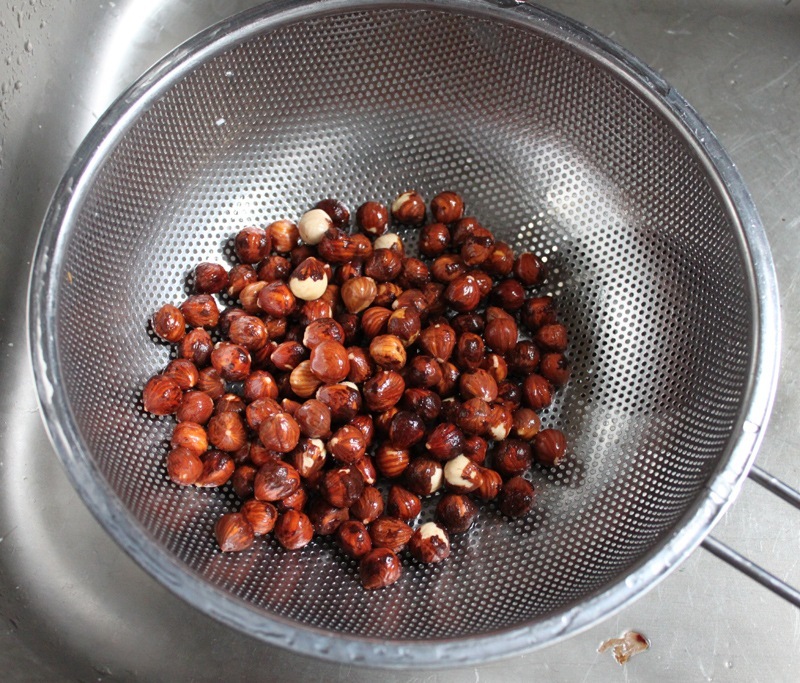 I repeated with 1/2 cup batches until all the nuts had been processed. This yielded roughly 3/4 cup of hazelnut milk. 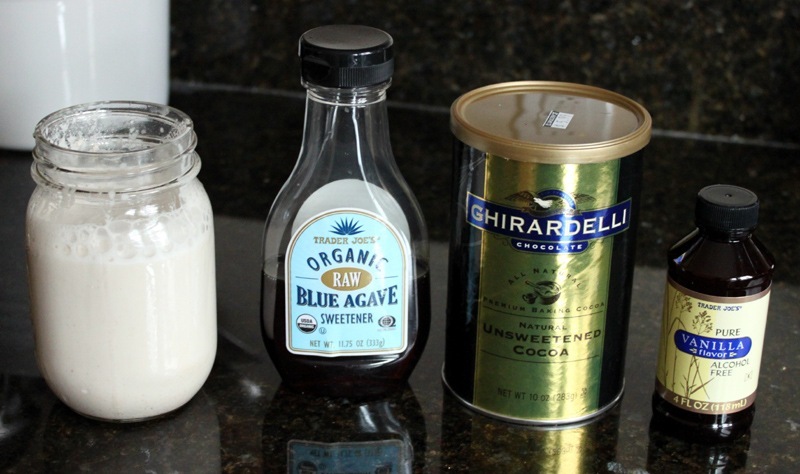 To the mason jar I added the cocoa powder, agave, and vanilla. I then topped it off with fresh, filtered water. I put the lid on and gave the jar a good shake for 1 minute until it was thoroughly combined. You can totally drink it immediately but I let mine sit for an hour or so in the fridge so that the flavors really came together. Holy cow (holy halzenut? ), this milk was good! 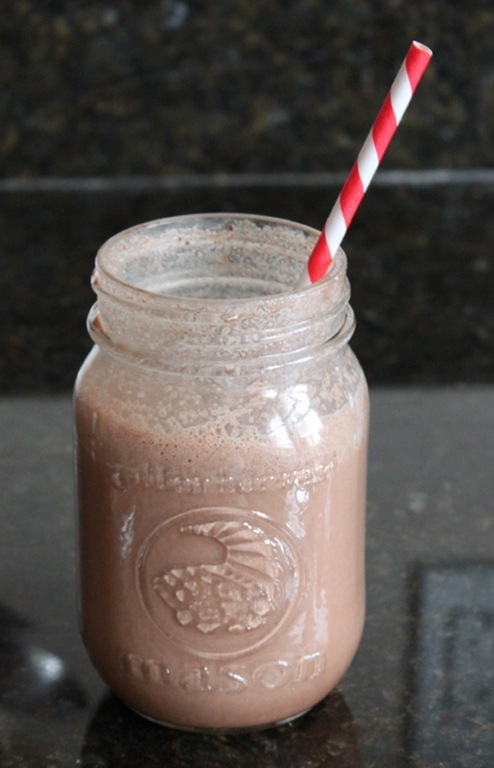 Sweet, chocolatey, creamy, and satisfying – just like chocolate milk should be. Hi, I'm Kim - otherwise known as Domestocrat! I'm a Bostonian, adventurer, baker, crafter, high fiver, and cat snuggler. Read more about me here.